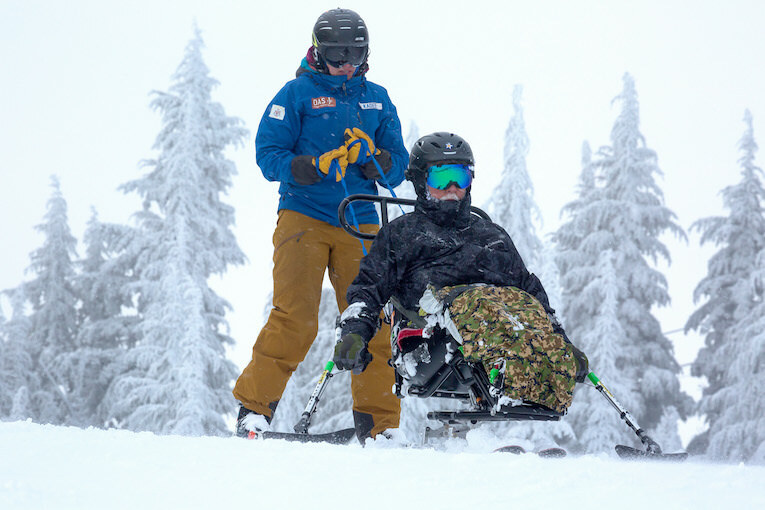 Bend stands out as a winter playground for all, thanks to the incredible roster of adaptive skiing programs offered through Oregon Adaptive Sports (OAS). 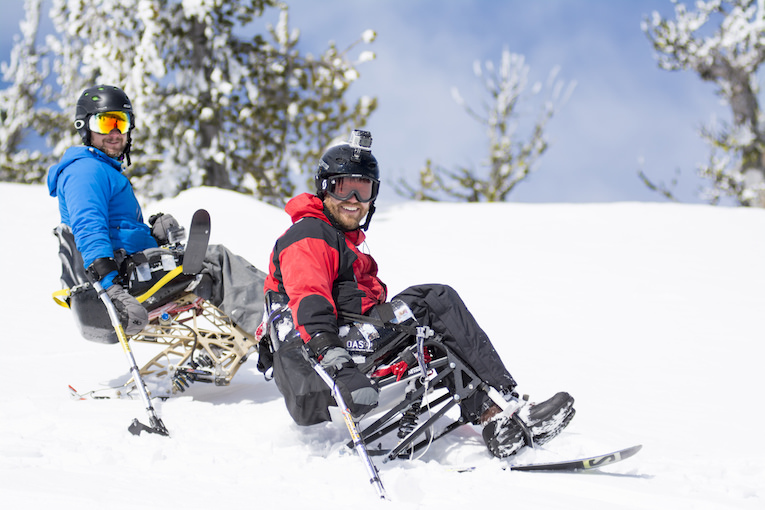 OAS has been in operation in Bend since launching in 1996 as a grassroots adaptive program with the goal of sharing a love of skiing and the outdoors with disabled persons. Now 22 years later, OAS is a registered nonprofit working year-round to empower people of all abilities to fully engage in the outdoors. 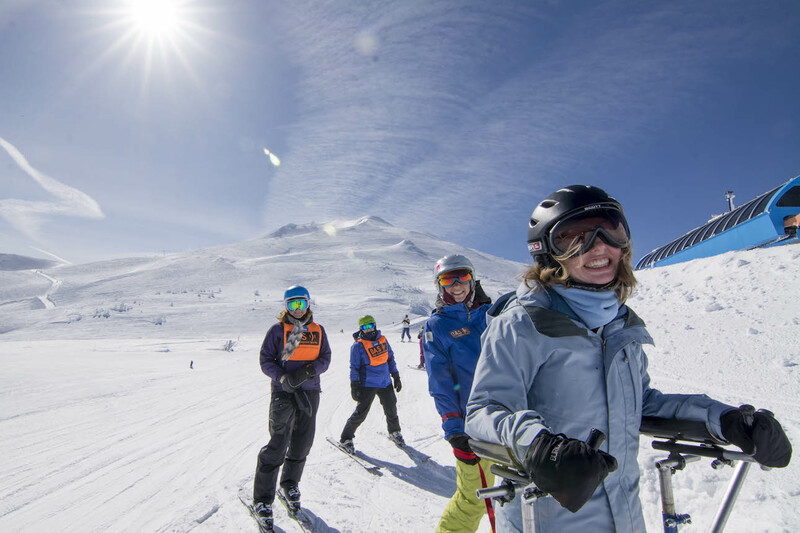 OAS offers year-round instruction in 10 sports, with the founding winter instruction, including skiing, snowboarding and Nordic disciplines, continuing to grow and serve both the local community and visitors to Bend. OAS has several entry points for participating. Local residents can take advantage of the season-long Locals Ski Program that meets weekly throughout the season. For visitors, OAS offers both individual day and half-day lessons similar to any lesson booked at a ski area. These skiing, snowboarding or cross-country skiing lessons are for everyone from first-timers to seasoned athletes with disabilities. 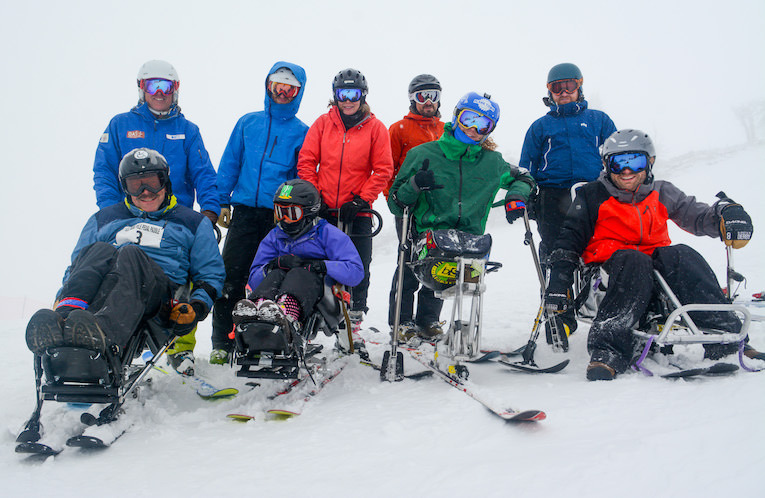 Participants are paired with a certified adaptive instructor and fitted to appropriate equipment; OAS has a range of equipment available including bucket-seat style mono- and bi-skis, and upright style 3-track and 4-track skis with a slew of related adaptive accessories to create the ideal customized on-snow experience. OAS also offers instruction and dedicated equipment for guiding blind and visually impaired skiers, as well as teaching deaf and hard of hearing participants. Lessons are offered seven days a week at Mt. 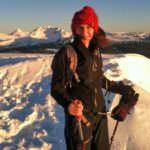 Bachelor beginning December 17 through March 31, 2019 and three days a week (Friday through Sunday) at Hoodoo Ski Area from January 11 through March 10, 2019. Registration and bookings open online beginning November 5, 2018. Mt. Bachelor and Hoodoo generously partner with OAS, donating office space and offering both discounted volunteer and student lift tickets, which allows OAS to keep costs low. For those needing additional financial support, OAS also offers scholarship programs, which open for application on November 5, 2018. A typical lesson day starts at the OAS offices at either Hoodoo or Mt. Bachelor, which includes meeting, assessment and gear fitting. Most lessons feature a two-to-one ratio of OAS staff/volunteers per student. Lessons are tailored to each student’s needs and goals. Some lessons can take place all day on the beginner magic carpet learning turns and independence, while skilled adaptive athletes could expect to make their way straight to the upper mountain to ski fresh powder or work on advanced progression techniques. Last season alone, OAS provided 1,000 winter lessons led by a core group of 15 PSIA certified staff instructors, with the additional support of 400 volunteer instructors and assistants. While full independence is the end goal for many participants, it isn’t a goal for every participant. OAS works to maximize everyone’s ability individually to see transformation at every level. With 22 years of partnership, Mt. 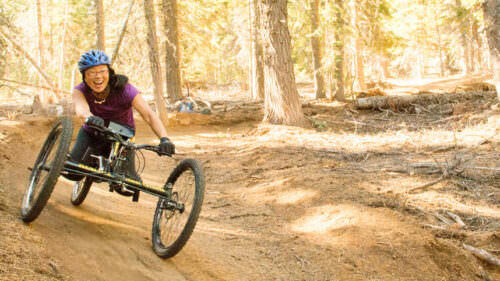 Bachelor and Hoodoo are ideal locations for adaptive athletes. Mt. Bachelor is the sixth biggest ski area in the country, just 22 miles from downtown Bend, offering one of the longest seasons in the country. Mt. 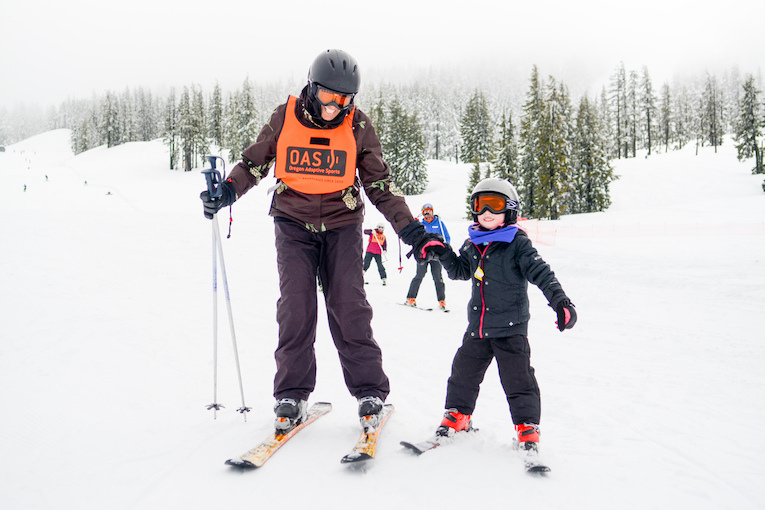 Bachelor is also host to the OAS Ski For Life program in partnership with local schools across Central Oregon, providing an opportunity for adaptive students to come up with their class and ski together for a school day over four to six weeks. Hoodoo Ski Area stand on its own as a community ski area with a range of beginner, intermediate and advanced terrain, plus the only night skiing in Central Oregon. 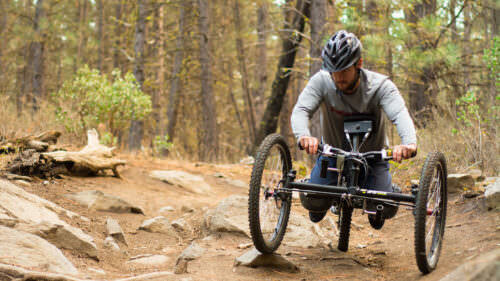 Hoodoo is host to the OAS Alpine Adventures program based in Eugene — one of the longest running adaptive programs in the Northwest. This program offers accessible transportation from Eugene and lessons at Hoodoo on reoccurring Fridays and Sundays through the winter. OAS suggests participants book early to ensure availability, as there is limited capacity especially during busy holiday seasons. Also, to be prepared for winter driving conditions and the challenges that come with recreating outdoors in a winter environment. All of the pertinent registration information is available on the OAS website. Mt. 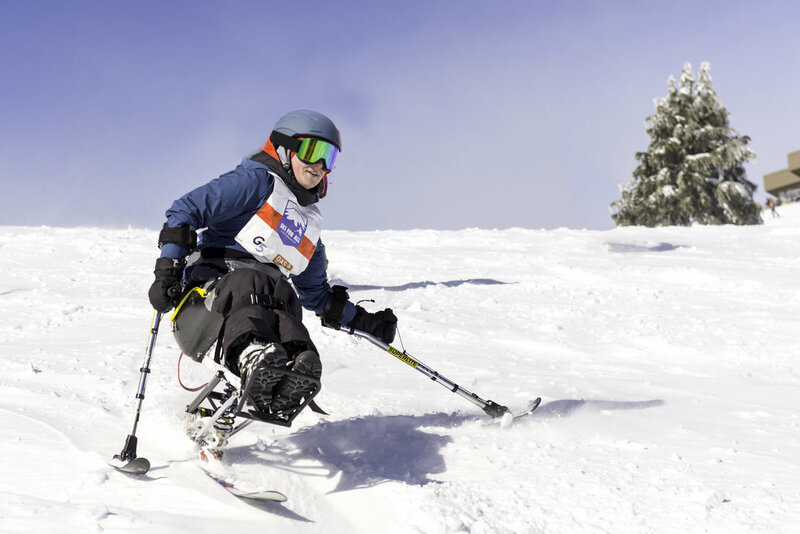 Hood Meadows Ski & Snowboard School also offers adaptive lessons. These lessons are for those of all ability levels age seven and older and are available with 48-hours advanced booking. The school provides package lessons including equipment, trained instruction and a lift ticket. More information on lessons are available at the Mt. 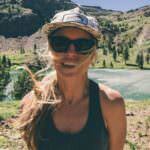 Hood Meadows website. Heroes in Sisters is an all-inclusive, all expenses covered weekend open to Pacific Northwest veterans with disabilities and their families. This year’s event is January 25-27, 2019. 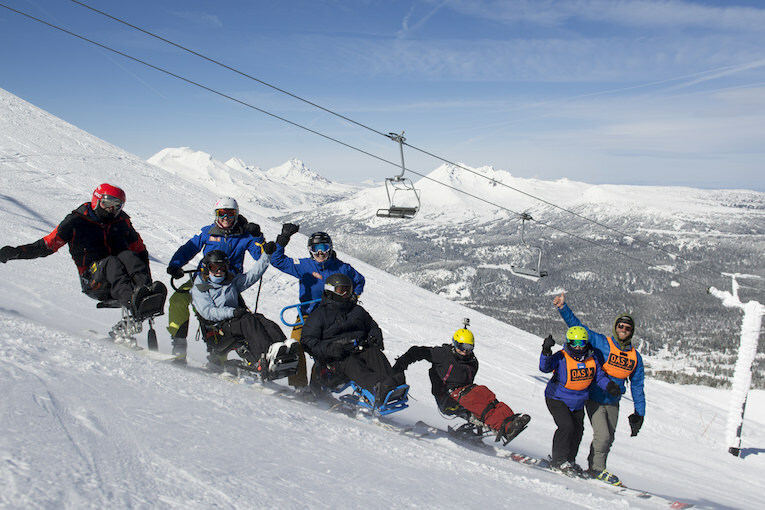 Ski for All is OAS’ biggest on snow fundraiser, now in its second year. The event will be held on March 16, 2019 at Mt. Bachelor. The goal of this all abilities ski-a-thon is to raise $50,000 for OAS. Registration will open on Giving Tuesday, November 27, 2018.